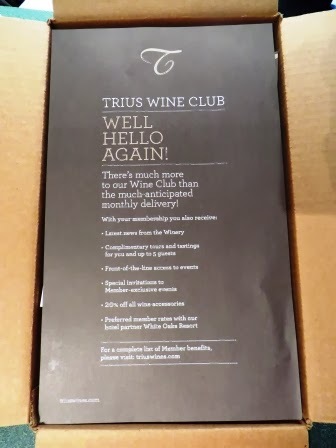 We picked up our Trius wine club box today ... they tried to deliver it a couple days ago and we weren't home. 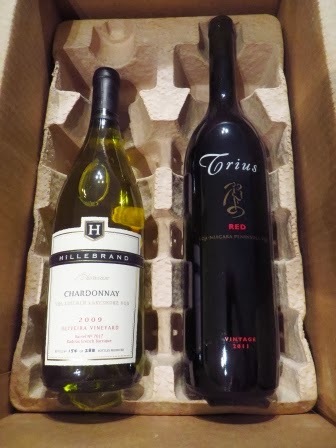 They both sound really good! I bet the fiance would love this club!